The Universe is communicating with you. There are messages that the Universe is trying to send to you. The Universe communicates with you through signs. Reading these messages is what is going to allow you to really move the needle on what you're trying to attract into your life. The universe is telling you something and I think it's time that you know what it is. The truth is that everything in this physical world is consciousness and more specifically, it's all God energy. It's all God. It's all the same thing in different arrangements and manifestations. God is already on your side because you are God to begin with. It's time to reconnect to that. What is the universe telling you? Remember your true nature. You are a divine being. Affirm that in your head right now. I'm a divine being worthy of all that I desire. This isn't your body. You're just renting it. You're already a divine being, a divine intelligence, divine consciousness within you. It's just buried between all the social programming. 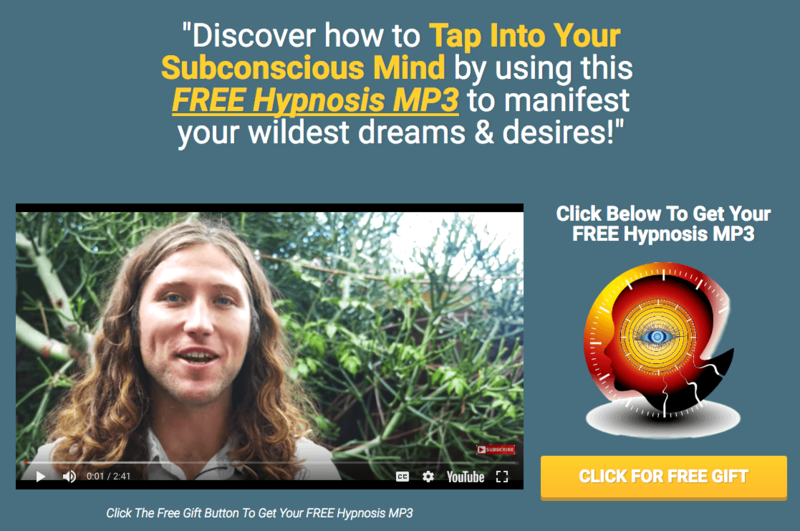 That's why I always talk about my free success hypnosis down below. You can use that to rewire and retrain your subconscious mind. Psychologists say we have 65,000 thoughts in a day. Ninety-five percent of them are subconscious. What does that mean? They're preprogrammed. They are like a record player playing over and over. Now the big kicker is psychologists say 70 percent of them are negative and redundant. That's a lot of negative or redundant thoughts and that's why you should download my free success hypnosis. You can retrain your mind for success as opposed to all the limitations of society and the way that it's been programmed. Remember your true nature. You are a divine being. You are one with all you desire. Every single thing in this physical reality is made up of the same source of energy, the same divine intelligence. It's in everything that you want. Most people think they're separate from what they want. Then you're reliant on outside forces to help you get what you want. Well, you know, I don't have enough time. I'm too old. I'm too young. I don't have the right resource. I don't have the right mentors, I don't have very much luck. We blame our circumstances on all of these external things. You're already one with it. And the only thing that keeps you from it is your belief in being separate from your source. If you can grasp that you're one with everything and you're one with the source of origination, of all things, you're also one with anything that you desire. You deserve it, you're worthy of it, and it's on its way. It's in everything and that's enough to make me so happy. Why? Because if God is in everything and it's in me, I'm already connected to everything that I want. It's not separate from me. I'm allowed to live my best life. Why? Because I wouldn't be here incarnated in the physical body as a spiritual being in a physical body unless I was worthy of experiencing whatever I wanted. Because I'm here in a body and me and you being here in a body is a good enough reason for you to live your best life and to have whatever it is you want to experience. We're here to experience the fullness of life. You're here to experience abundance and realize yourself as a powerful creator, to see that you're one with God. That's what the universe is trying to tell you. God wants to know that it's not only on your side, but it's within you. ​The Universe is communicating with you. All the answers that you need are within yourself.